The University of Mainz, Germany, hosted its international symposium “Motyf 2016 – Moving Types” at the Gutenberg-Museum Mainz. For it’s Media Art Exhibition our client asked us to create a VR station that visitors could use to experience Poetry and “Moving Types” in a virtual environment. 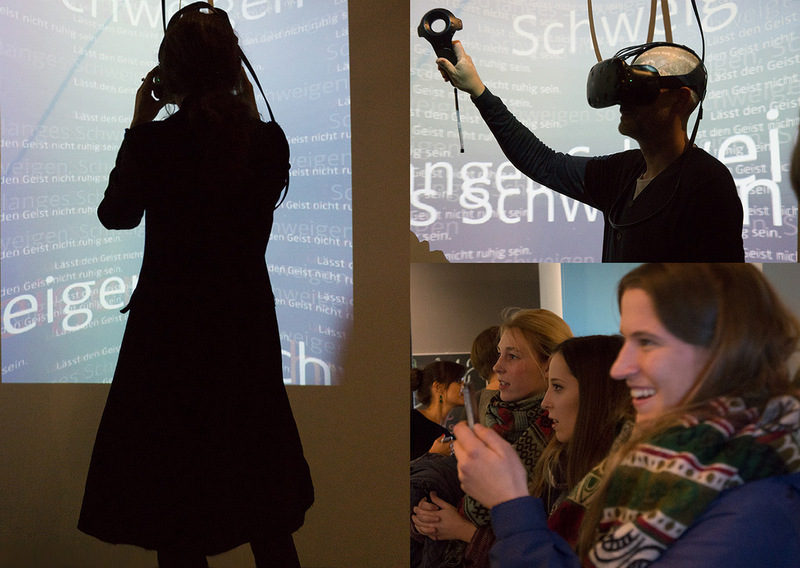 Visitors literally played with words in virtual reality! They could interact and manipulate the floating verses of the virtual poem with the HTC Vive Controllers and trigger the next verses. It was paramount that the player interacted with the poetry intuitively and without the need of a tutorial. We chose the HTC Vive because we were blown away by how easily it’s controllers handled, and how well it was supported by the Unreal Engine. Our VR Station was (and still is) one of the highlights of the Media Art Exhibition and will be on display for another 6 months.